Mouse lag in Windows 10 is one of the irritating issue, this can affect the entire experience of using Windows 10 system. 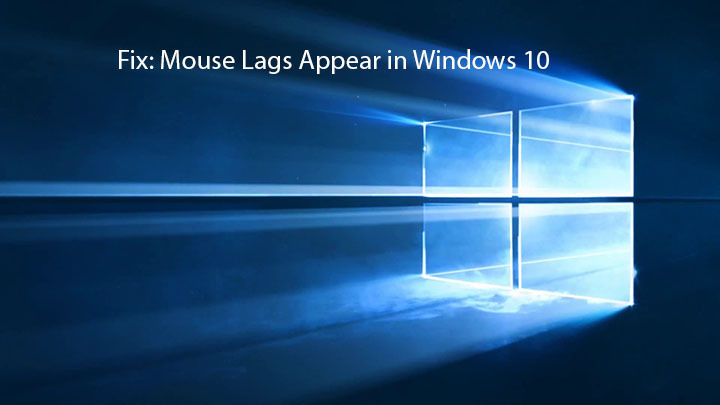 This problem is reported by many Windows 10 users, under this article you will get the complete guide to fix Mouse lag appear in Windows 10. This irksome issue appears when users switch their system to Windows 10 and continually irritate user while operating Windows 10. Mouse lag issue can interrupt enjoying games on Windows 10 system, this issue has some serious affect so it also influences user experience and system performance, but it’s time to fix this issue, apply the below-given solutions and get rid of Mouse lags in Windows 10. Go to Settings > Devices > Mouse & Touchpad. After it find the Scroll Inactive Windows option and disable / enable it. Note: Apply this method a few times and ensure if the issue is fixed. 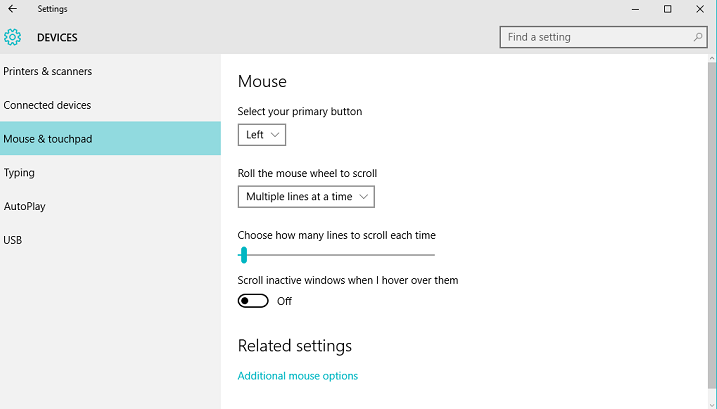 Step 1: Again go to the Mouse & Touchpad settings (given in method 1). Step 2: Now click on the Additional Mouse Options. Step 3: After it select TouchPad Tab. Step 4: Click on the Settings -> Advanced Tab. Step 5: Find the Palm Check Threshold and move it all the way to the left. 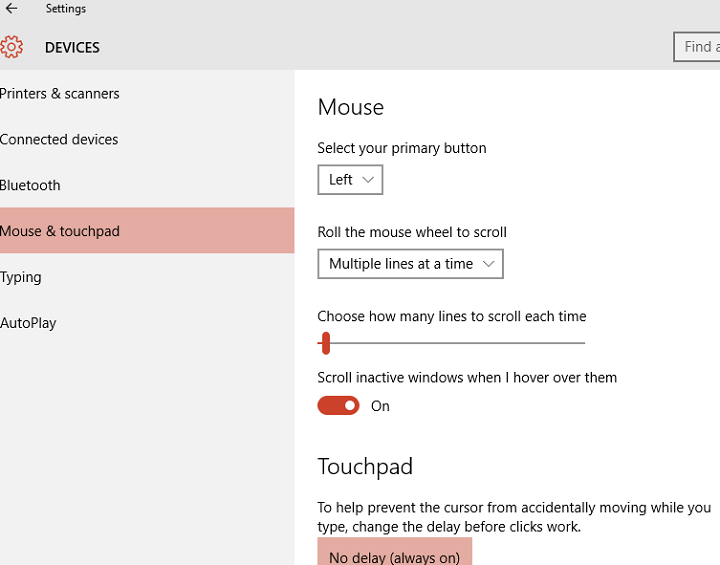 To apply this, you have to navigate to Mouse & Touchpad settings (given in method 1). At here, find the Touchpad section and set the delay before clicks to No delay (always on). Step 1: Open Cortana and -> Settings which is present at the top left corner. Step 2: Find the Cortana and set it to off. Step 1: Remove/Uninstall the GeForce experience app. Step 2: Go to Device Manager -> NVIDIA High Definition Audio. Step 3: Right-click on it and select Disable. Same steps are applicable for the other audio drivers, such as Realtek. Note: If disabling the driver doesn’t work then uninstall them. Under this method you don’t need to do anything manually, simply download the Windows 10 PC Error Repair tool and install it on your system. This app will automatically scan your entire system and fix all the internal issue with a single click. It is hoped that mouse lags problem can be solved by this application, so try this once. This app will also help you in enhancing speed of your PC. It is very easy to use and most trustable tool for Windows 10.